Instant communication with City Safe and all members via a secure network. 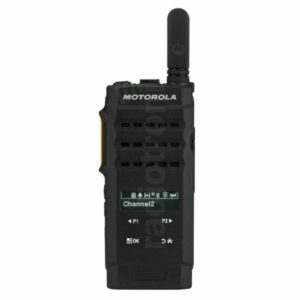 Two-way radio and text messaging keeping you informed. Hire of Radio equipment and airtime provided by Apex Radio Systems Limited. City Safe Birmingham is operated by Retail Birmingham Limited (Retail BID). 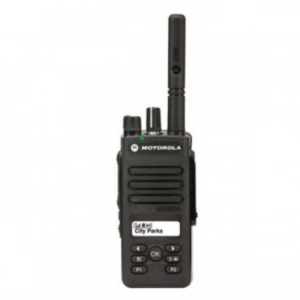 Or the DP2600e, below a full sized radio. 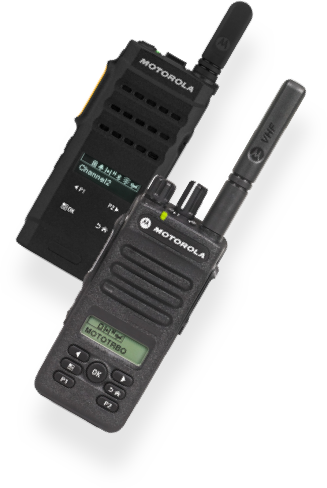 Both digital radios work in exactly the same way, have text messaging capabilities and are able to be used with Bluetooth discreet earpieces.